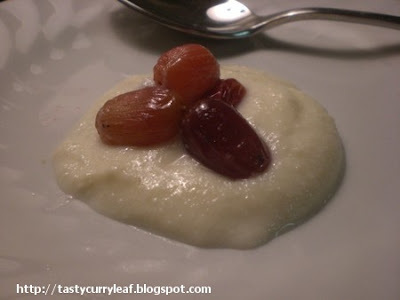 In a baking dish,mix together washed and drained grapes and other ingredients.Only very little oil is needed.Spread the grapes in a single layer and roast in a preheated oven at 450F for exactly 15 minutes.Take out and let it cool for 1-2 minutes. Serve with crema di ricotta or vanilla yoghurt or as such.They tasted sweet-tangy-savoury-depending on the type of grape and amount of salt/pepper used.To tell you the truth I was happy they are still in one shape and not burst.Its nice and different from the normal grapes/grape recipes we consume.Also sometimes if the grapes are too overripe,the sauce may ooze out,but still they retain their shape.With crema di ricotta they were excellent. 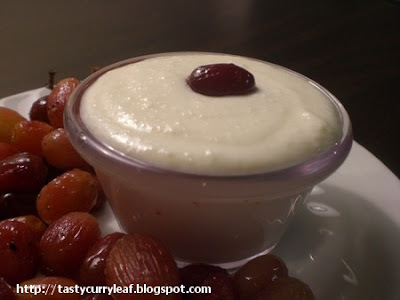 Blend all these together either by hand/blender to obtain a creamy dip.the ingredients can be adjusted as per your taste.It can be served at room temperature/chilled.It can be taken as such if you are a sweet n cheese lover or as a dip with roasted grapes or anything. 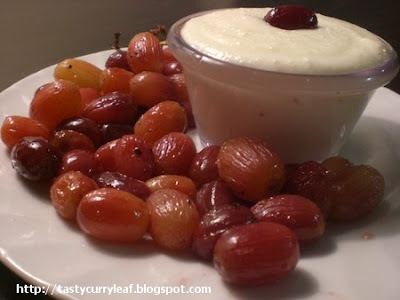 A warm plate of roasted grapes with chilled crema di ricotta is on its way to Daily Tiffin LowFat Dessert Table for the Monthly Mingle . Iam drooling over. Looks yum. Wonder where you come up with such unique ideas? Roasted grapes? Nice. wow! what a wonderful dessert. looks delicious! This sounds really interesting, I love grapes but I've never roasted them before. Delicious way to eat grapes! WOw wat a tempting dessert..looks fabulous n simple to prepare.. Thanks Sweatha for this unique simple recipe! See you at the round up!! Ooh nice! Roasted grapes is pretty innovative. your recipe looks really interesting! plus healthy! will give it a go this week and let you know! ooh, roasted grapes sounds new! Looks awesome. very different one.. looks tempting. 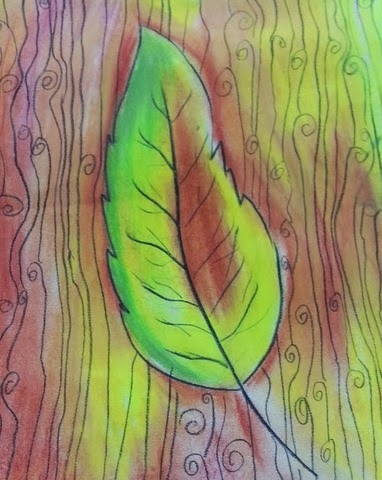 nice pic.. This looks awesome!Never roasted grapes ever. So very innovative & unique. Love the idea!